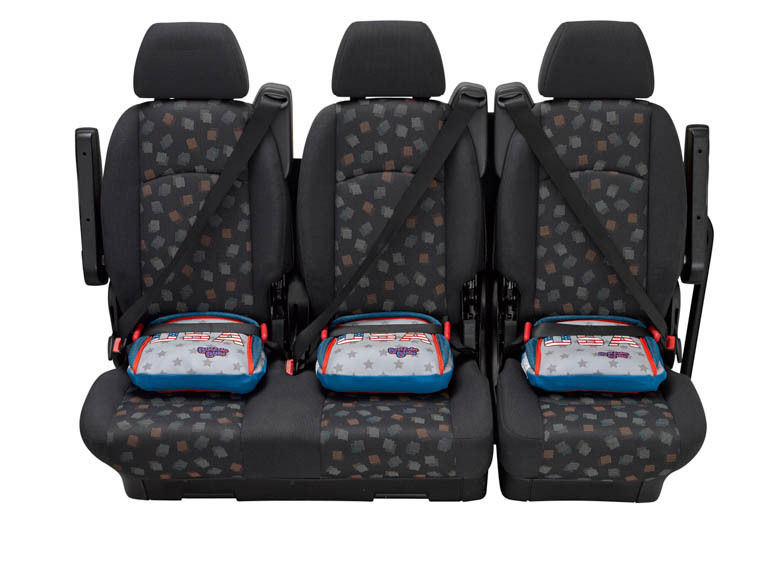 The Award Winning BubbleBum Car Booster Seat – helping to make your family life easier! 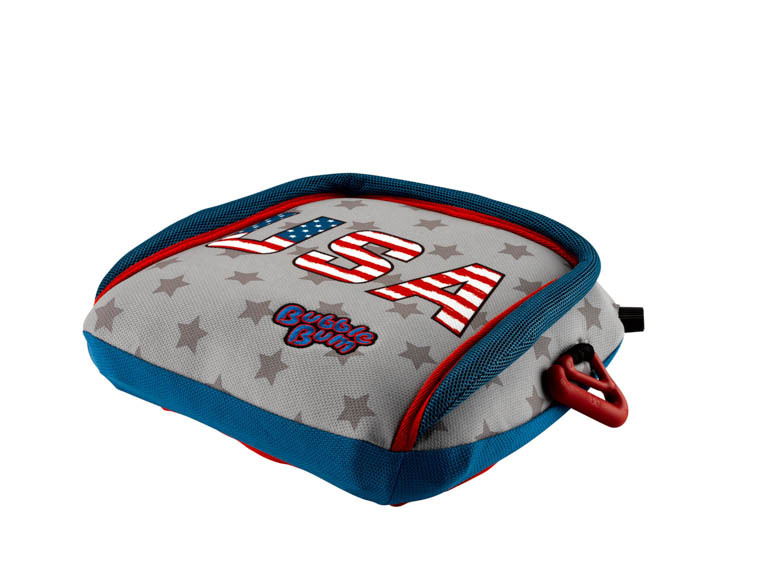 The BubbleBum Inflatable Car Booster Seat is the world’s first inflatable, foldable and portable car booster seat. The BubbleBum has been approved under the United Nations ECE Regulation R44/04 for both Groups 2 and 3. 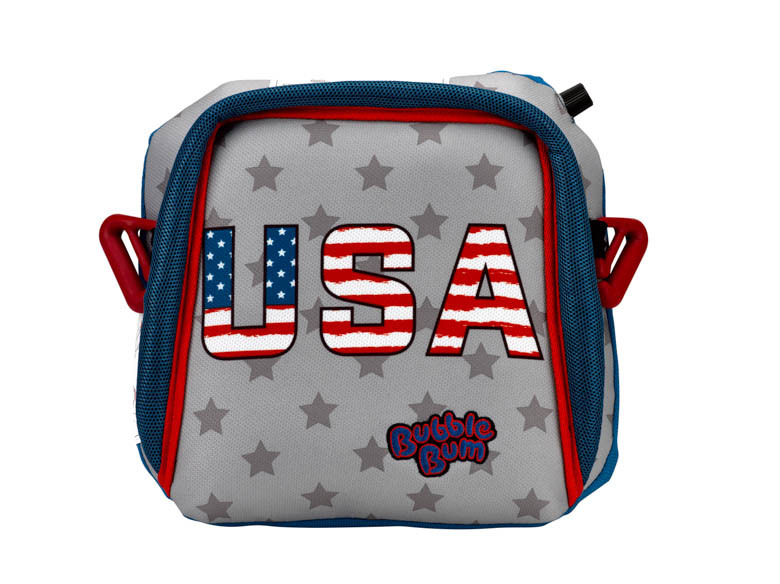 The BubbleBum is made from a durable material, similar to that of life vests. The integrity of the seat comprises of memory foam and a strong webbing harness. The side positioning clips position the vehicle seat belt over the bony pelvis area, away from the soft tissue of the abdomen, which is the optimum positioning for the safety of the child. 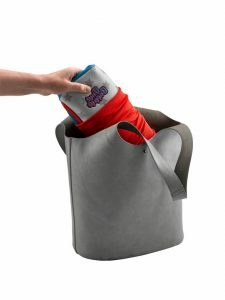 The Booster Seat can be stowed in its own stretchy bag for easy transportation, meaning that EVERY child can have a booster seat for EVERY Journey. Wherever your kids go, the BubbleBum can go with them. Weighing just 500g, equivalent to 3 small bananas, the innovative compact design easily deflates for folding away. 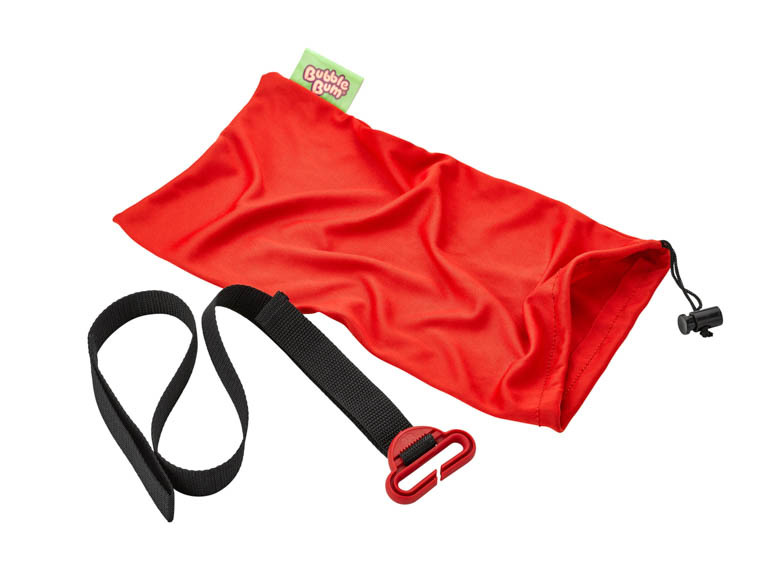 Each BubbleBum Booster Seat also comes with a shoulder belt positioning clip for added safety and comfort during travel. 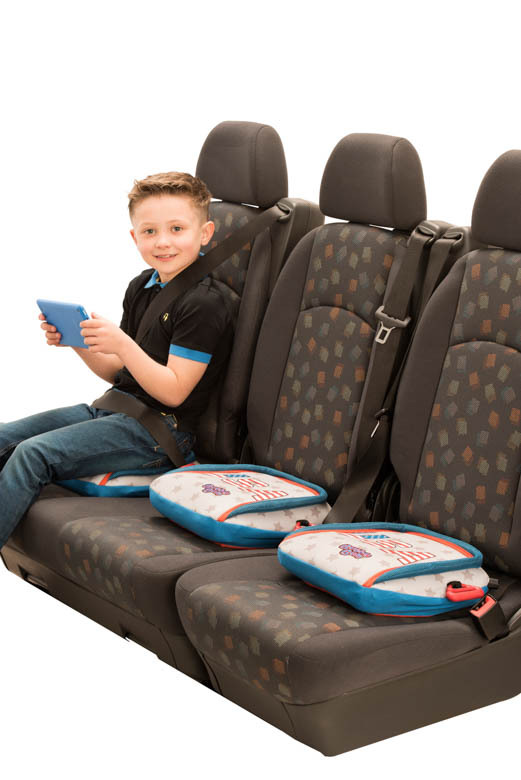 The BubbleBum Inflatable Car Booster Seat is perfect for holidays, car rentals, taxis, coach journeys, school trips or car share. The narrow design makes it perfect to fit 3 car seats across the back seat. The BubbleBum inflates by mouth in less than 20 seconds. It also folds down to fit in to small places like rucksacks, hand bags, or even the glove compartment. BubbleBum was founded by UK mum Grainne Kelly, after she had grown frustrated and concerned for her children’s safety when travelling. Child safety is our passion. It is our vision to see Every child on a booster seat on Every journey. 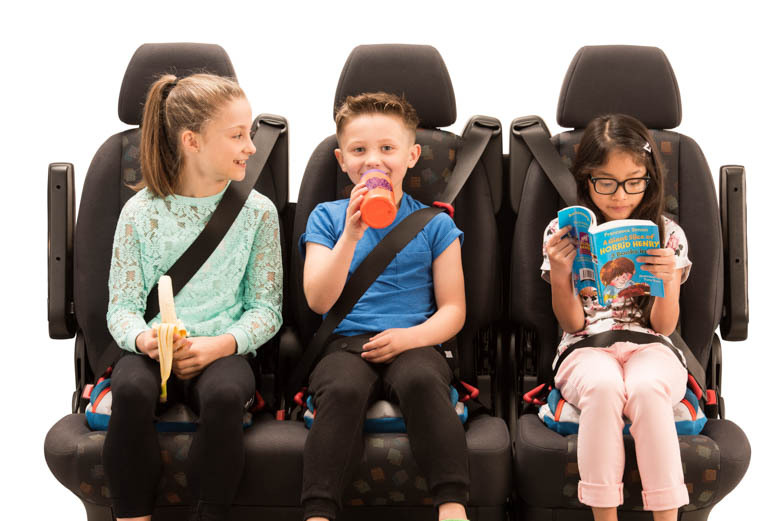 Designed for children aged between four and 11 years old, the BubbleBum has been approved under the United Nations ECE Regulation R44/04 for safety for both Groups 2 and 3.